Tiny Rainbow Moonstone beads are linked together rosary style in this 4 LAYER multi strand necklace. 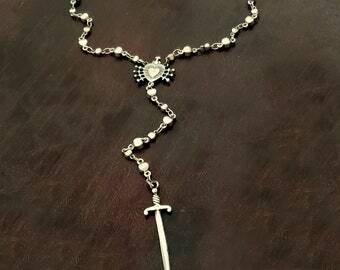 A gorgeous etched VINTAGE ROSE GOLD FILLED CROSS with pearl inset is the focal point of this stunning necklace. Bead chain wraps around the neck so you can adjust chains so they are neatly stacked or worn loosely around the neck. 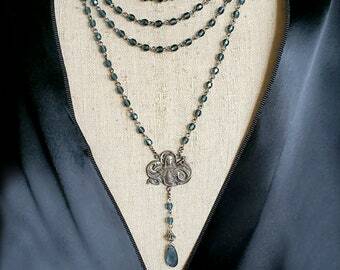 Wrap around your neck a little looser for a triple strand (rather than 4 strand) necklace. 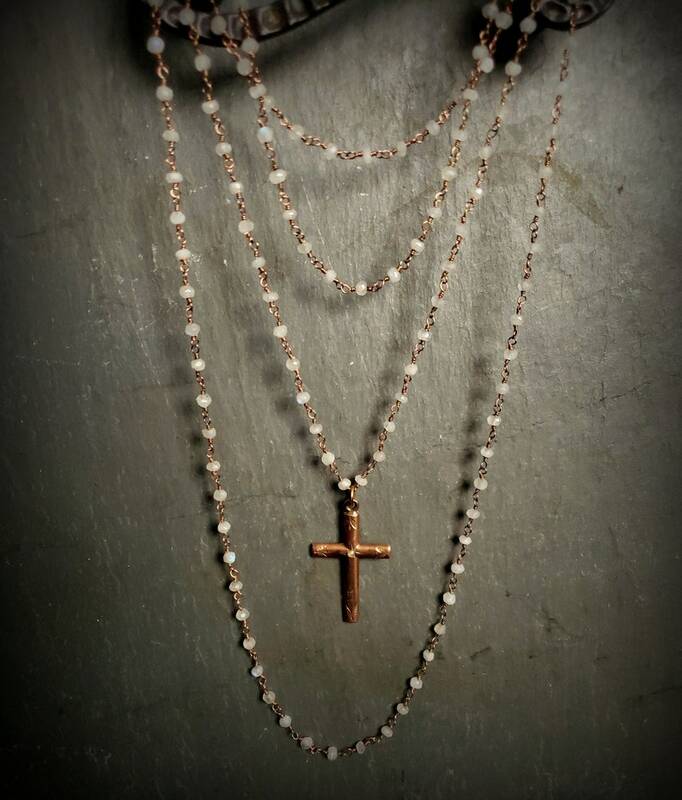 Moonstone beads are linked with rose gold filled wire which pairs beautifully with the warm gold cross pendant. 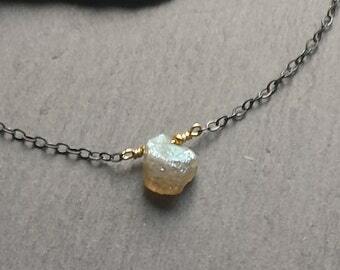 Necklace is finished with a 14k Rose Gold filled spring clasp. 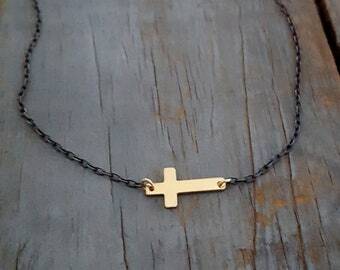 With jump ring, cross pendant measures 1-1/2". 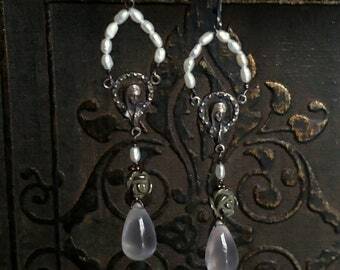 Chain length: 70" long............Double click on images to enlarge a photo. 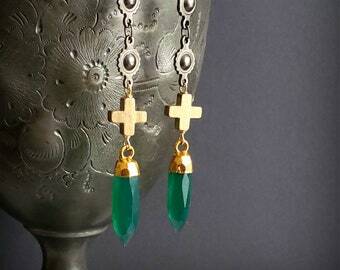 --> Wear with our "Gold Sword Earrings", sold separately.